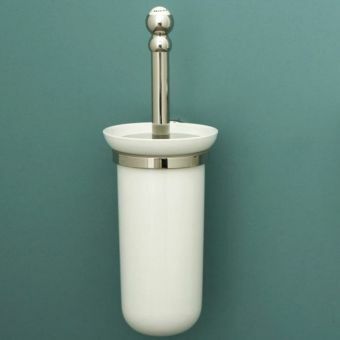 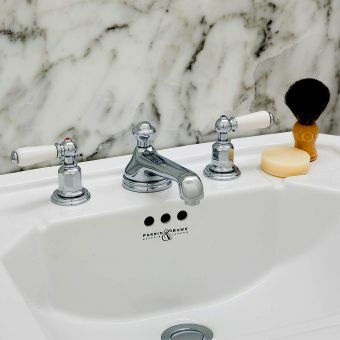 Sometimes it is hard to improve on perfection: the traditional pillar tap has been the choice of bathroom design connoisseurs for more than a generation. 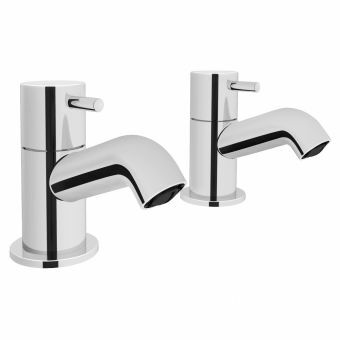 Elegant and dependable, individual pillar taps allow you to precisely control the water temperature, allowing you to create the ultimate bathing experience every time. 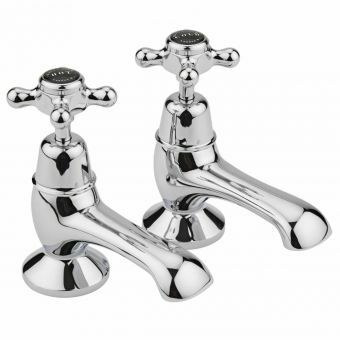 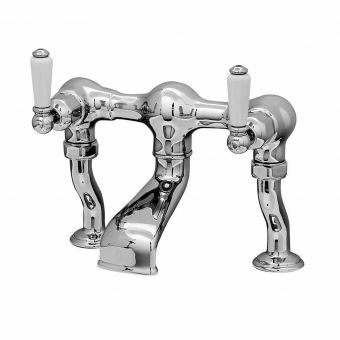 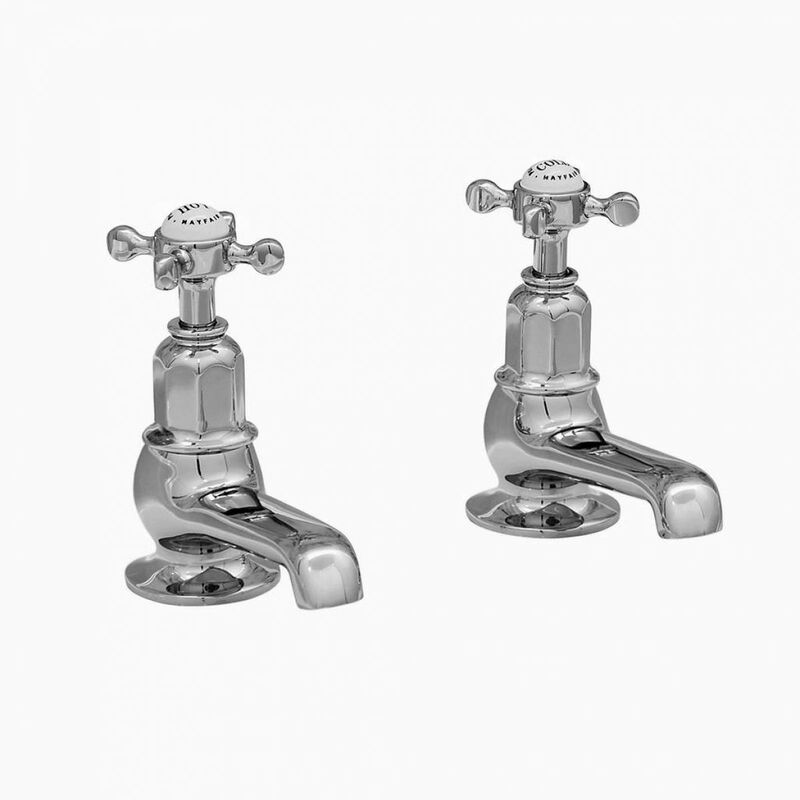 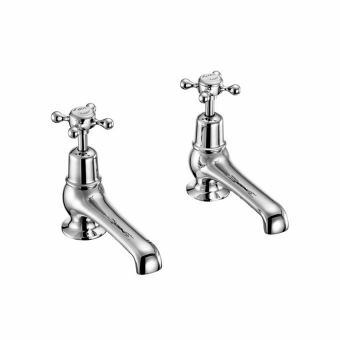 This particular pair of Perrin & Rowe taps come with a choice of lever or crosshead handles which complement the traditional style, meaning you to recreate the ultimate luxury bathroom suites of many of England's finest country houses. 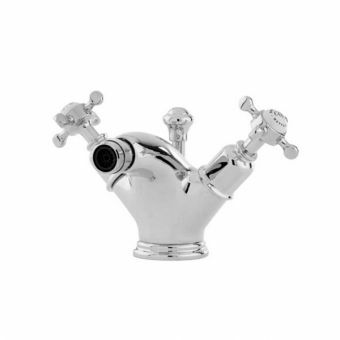 Perrin & Rowe are renowned for their quality; each piece is expertly assembled in the UK using only the finest materials. 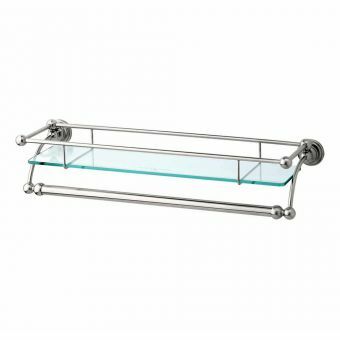 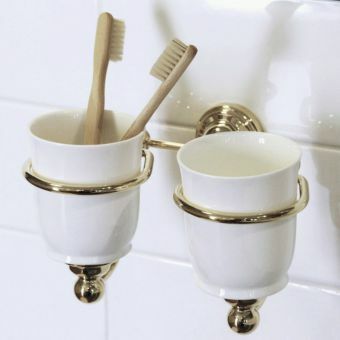 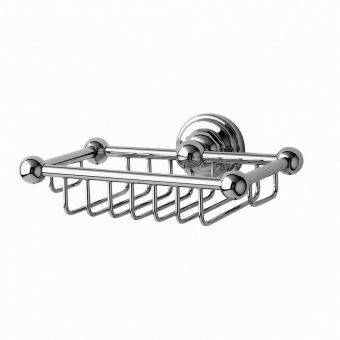 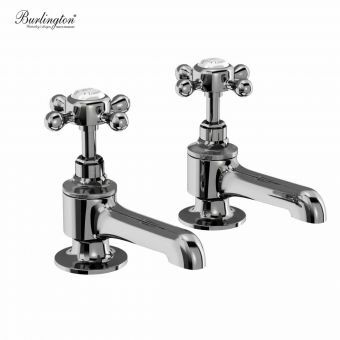 This ensures your brassware will look great and work flawlessly for many years, with only minimal maintenance. 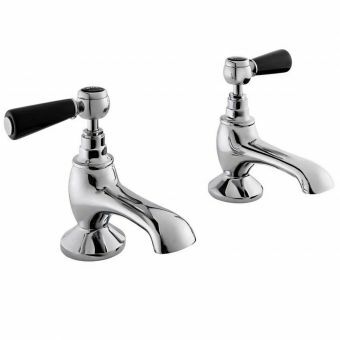 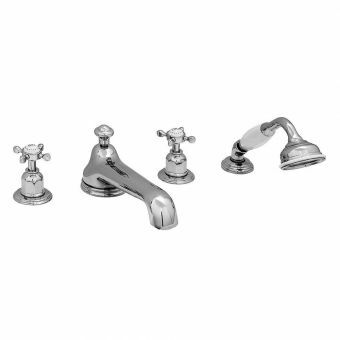 No more squeaky handles or dripping taps; just high-quality accessories that you can depend on. 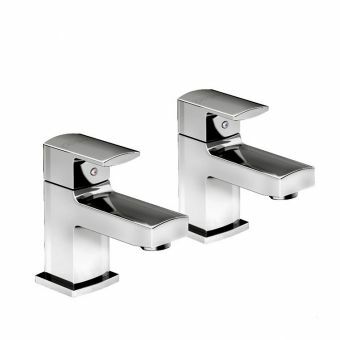 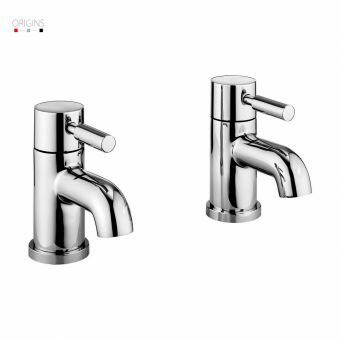 These particular taps are finished in chrome as standard but a number of other finishes are available to order allowing you to tailor your taps to suit your bathroom's style without compromise.